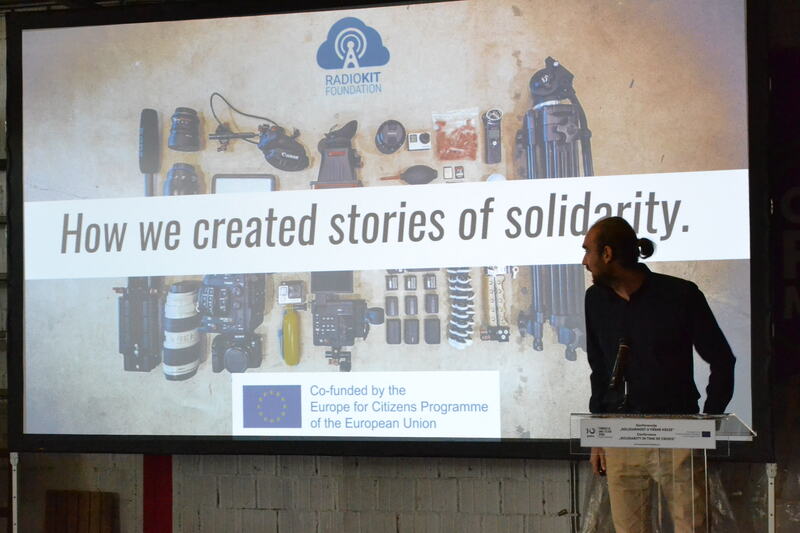 Project Celebrating solidarity aimed to explore, stimulate debate and advance solidarity as a crucial topic within European societies and was organized by Ana and Vlade Divac Foundation with following project partners – RadioKit Foundation (Poland), DemNet (Hungary), Multi Kulti Collective (Bulgaria), MladiInfo International (Macedonia), Partners Albania (Albania) and Ana and Vlade Divac Foundation (Serbia). All those countries have long and turbulent history of facing crisis, both man-made (political, social, armed conflicts, etc), as well as the natural disasters (such as earthquakes, floods, etc). Project was exploring variety of turbulent times those countries and their citizens were facing, while celebrating and understanding the importance of solidarity and love to other human being in a word of conflicts and disasters. 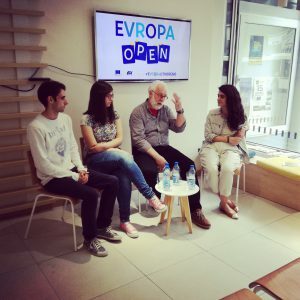 During one year (2016-2017), and across six countries, partners have directly involved 26.856 individuals, both young and elderly, volunteers and professionals, in exploring the issue of solidarity, channels and mechanisms of European solidarity, as well as responsibility, and common solutions. 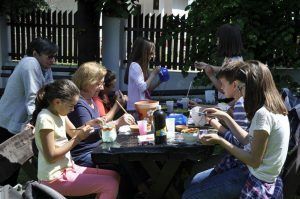 While exploring attitude of citizens about important social value of solidarity, special attention was aimed to youth population – over 7.000 youth shared their opinions on solidarity by online quiz and 12 focus groups. Results were encouraging, most of youth in all 6 countries is recognizing suffering of other people and have positive and proactive attitude. 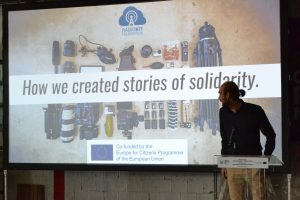 Development of virtual museum of solidarity attracted over 732.000 page views and provided huge audience and possibility to share of 27 edited stories of solidarity from 6 countries and many other content and information. 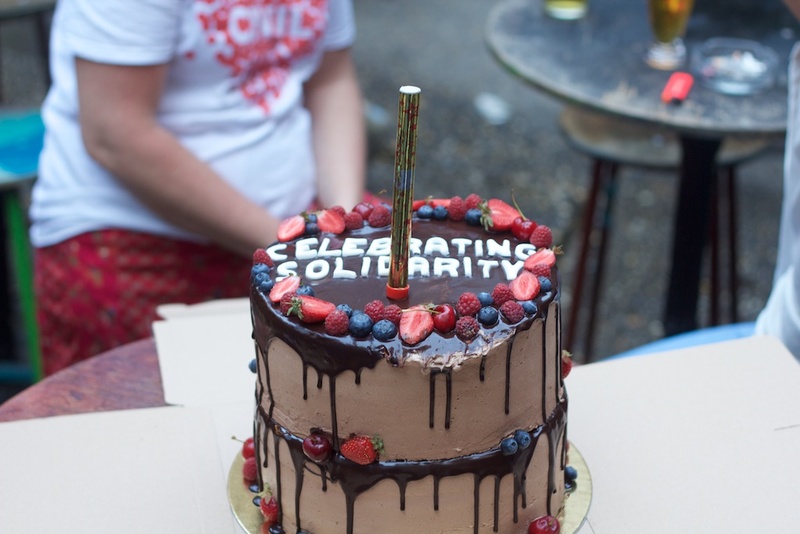 We have interviewed various people who shared their stories and presented many examples of solidarity and inspirational stories of supporting people. Trough Solidarity festivals in Serbia, Macedonia, Albania and Bulgaria organized in period May-June 2017, we have directly promoted this important social value and involved over 26.000 participants and hundreds of thousands were indirectly involved or reached by the media reports and social network engagement. 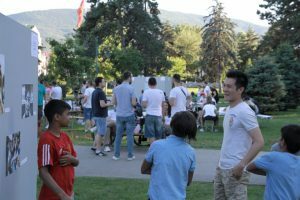 Many public events have been organized in all 4 countries and they attracted huge number of citizens. 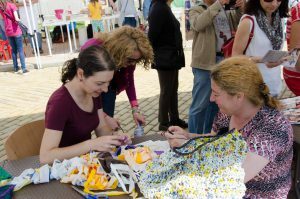 Those events were organized also by partnering with other public events and creating higher impact in promotion of solidarity in their societies. 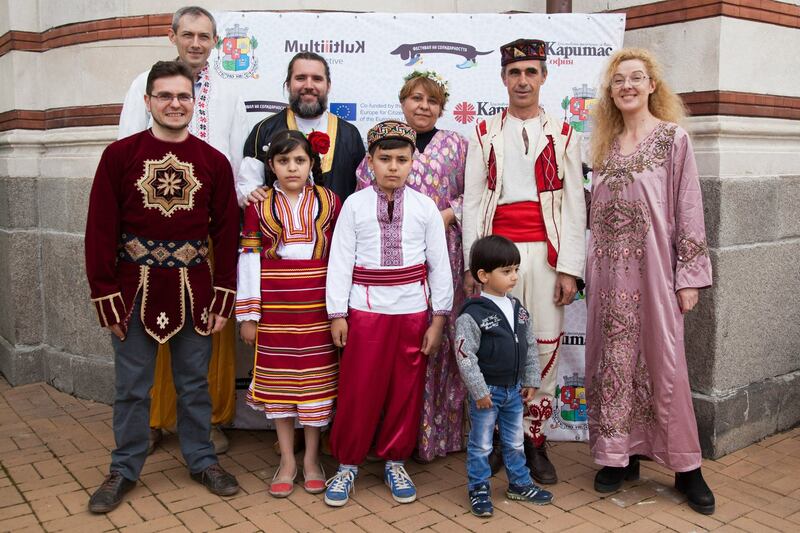 Media support helped us achieve indirect reach to at least 572.427 citizens across partner countries who were informed about the project through media reports and project web site. 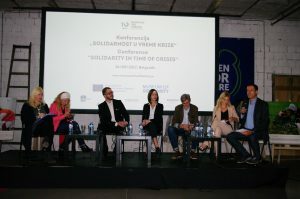 By the end of the project, we have organized international conference “Solidarity in time of crisis” during which we have promoted project results, but also involved representatives of the media and individual philanthropists who all shared their perspective on solidarity and discussed importance of media support and individual endeavor as catalyst for the solidarity in our societies. 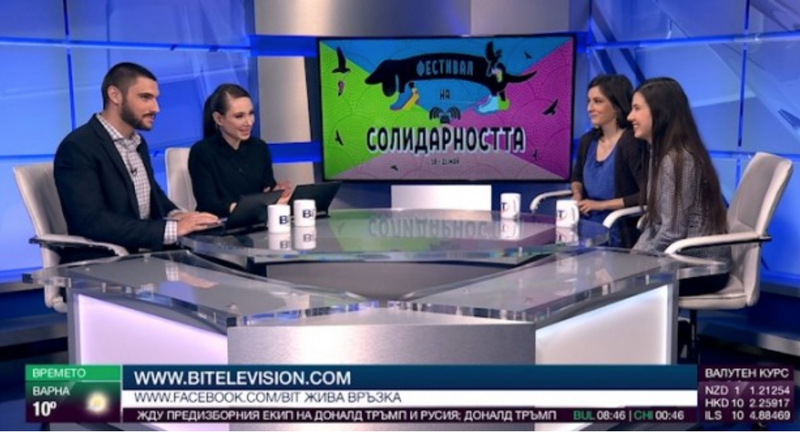 Participation of Serbian national media representatives and guests – journalists from Albania and Macedonia offered opportunity to learn about media approach toward solidarity and their importance for awareness raising and involvement of the citizens and companies into concrete actions. 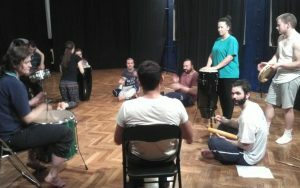 Participation: The event involved 16 citizens, including 6 participants from the city of Belgrade (Serbia), 3 participants from Sofia (Bulgaria), 2 participants from the city of Skopje (Macedonia), 2 participants from Budapest (Hungary), 2 particpants from Krakow (Poland), 1 participant from Tirana (Albania). 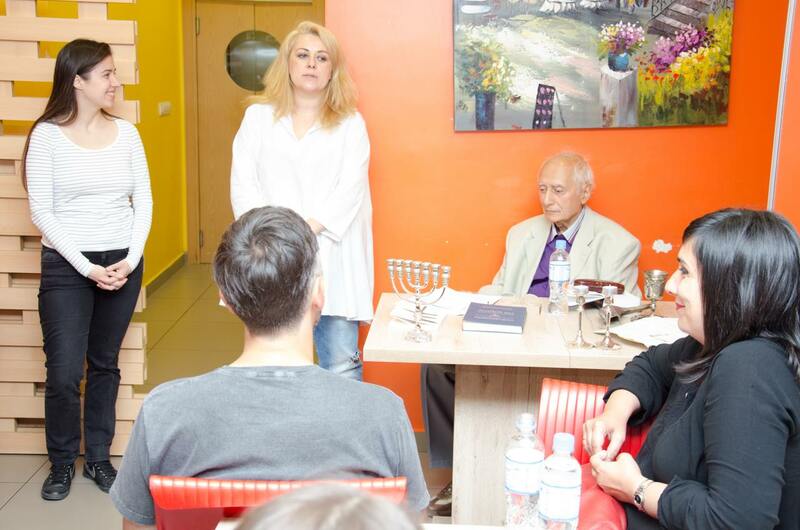 Short description: Preparatory workshop was organized by Ana and Vlade Divac Foundation at the very beginning of the project with representatives of all project partners. 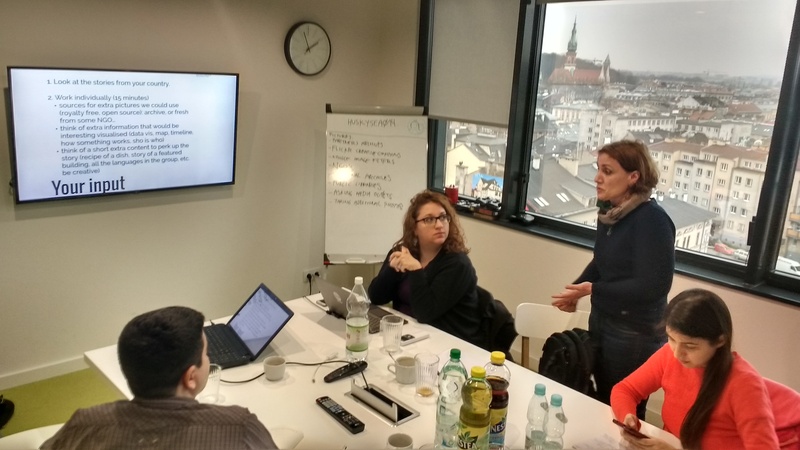 During the workshop, project partners have discussed all the important details and defined priorities and timeline of the project activities. It was agreed to start preparation of the research (online quiz and focus groups), collect information about interviewees for the solidarity stories and to prepare first page of the project web site. It was also agreed to open Google group as communication tool. 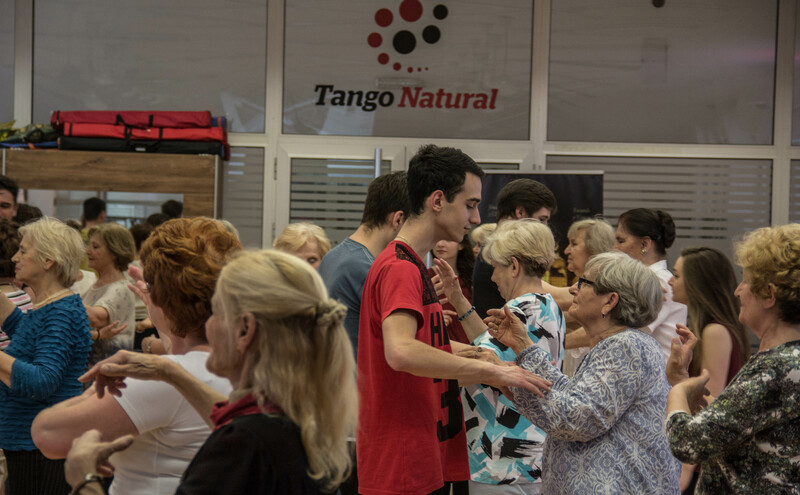 During the workshop, project partners have also received contract proposals and instructions about periodical reporting about the project activities. 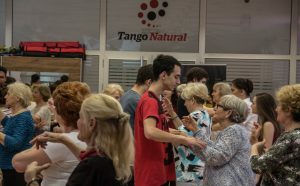 Participation: Online research and focus groups involved 7.182 citizens/young people (aged from 16 to 30 years old), including 1.045 participants from Albania, 1.073 participants from Bulgaria, 1914 participants from Hungary, 1025 participants from Macedonia, 1.068 participants from Poland and 1.049 participants from Serbia. Short description: The aim of the activity was to determine what perception toward solidarity does the youth in 6 partner countries have. Also, through focus groups we had opportunity to perceive deeper sense about youth attitude toward solidarity as an important social value. One of the conclusion is that youth in all the countries do care about other people. 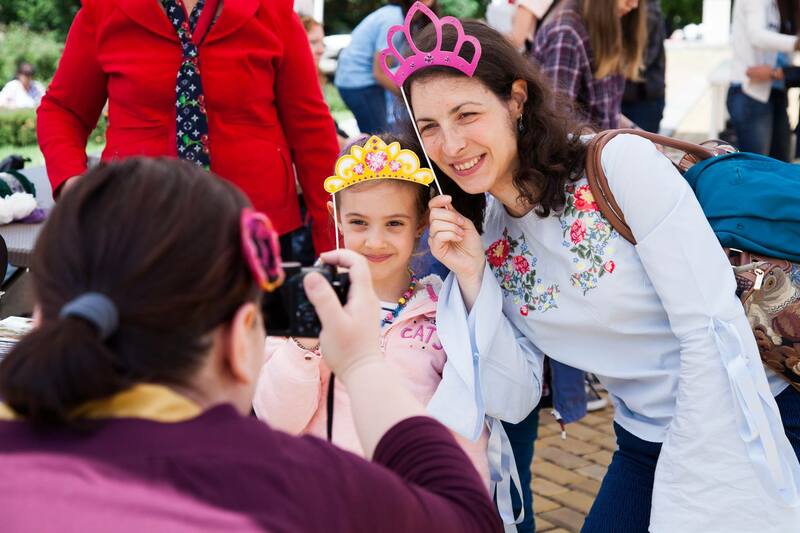 Participation: The event involved 6 citizens, including 2 participants from the city of Krakow (Poland), 1 participant from the city of Belgrade (Serbia), 1 participant from Sofia (Bulgaria), 1 participant from Tirana (Albania), 1 participant from Skopje (Macedonia). Short description: Web content development workshop was organized so all the partners could prepare content for the virtual museum of solidarity – www.museumofsolidarity.eu Before the workshop, in all partner countries we were making audio and video interviews about solidarity with different people who shared stories from their experience when they received support or they have helped someone in a crisis. 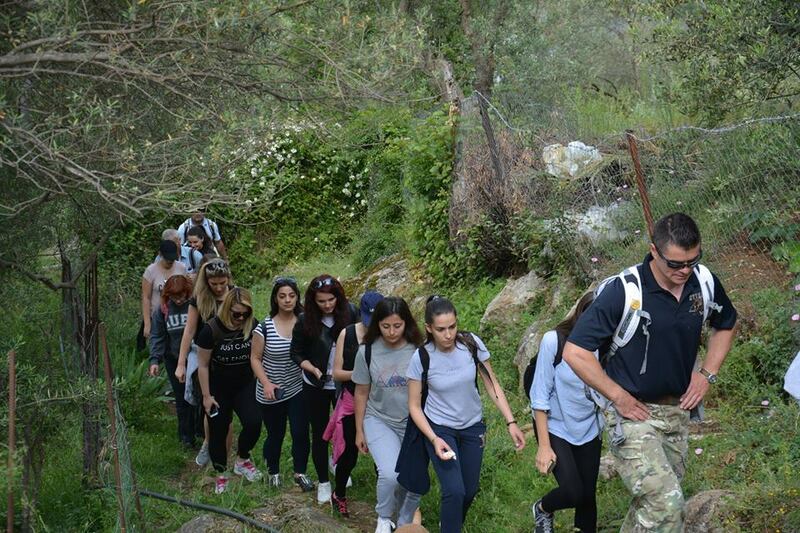 With the stories we have covered many natural and man-made crisis that occurred trough different historical periods. 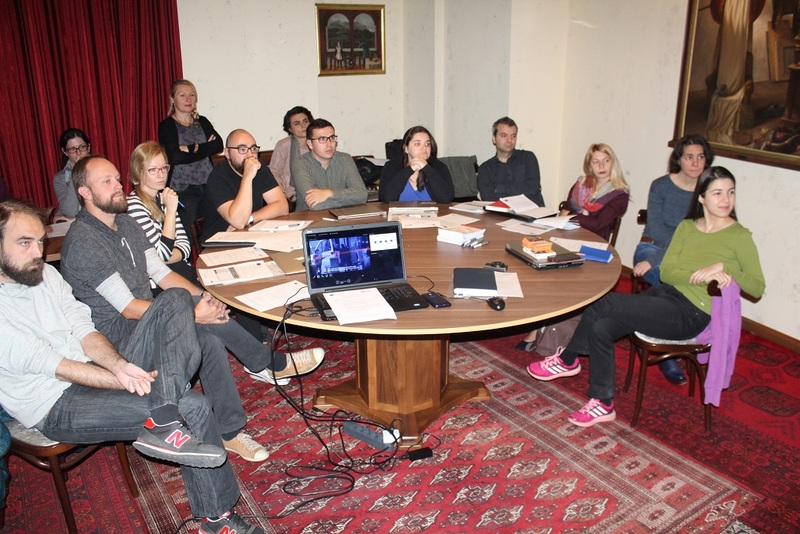 During the workshop, we have defined framework for preparation of the stories and their placing on the project web site. Partners agreed to prepare stories from their countries, explain the context and provide additional materials. 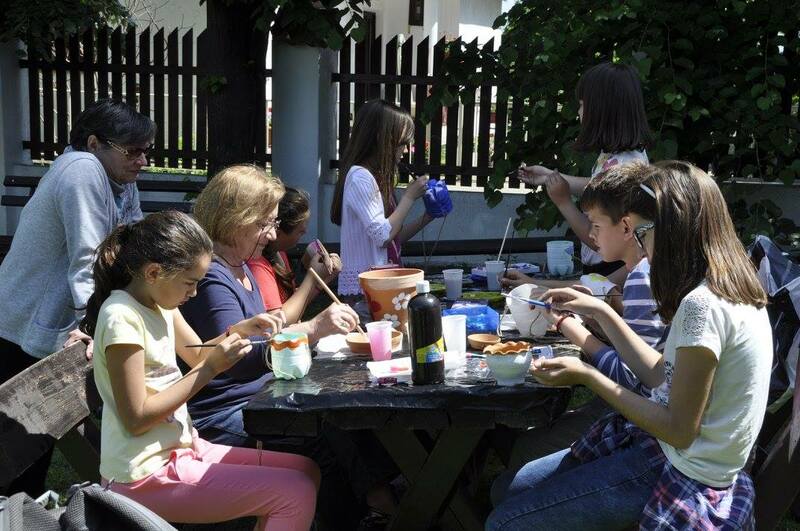 Participation: The event involved 13 citizens, including 9 participants from the city of Budapest (Hungary), 2 participants from Szentendre (Hungary), 2 participants from Liverpool (United Kingdom). 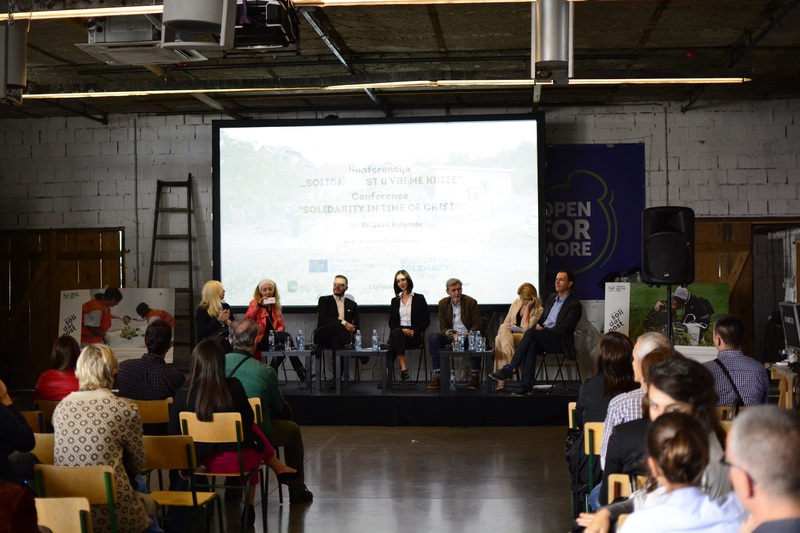 Project partners [2 participant from Krakow (Poland), 1 from Skopje (Macedonia), 1 from Belgrade (Serbia), 1 from Sofia (Bulgaria), 1 from Tirana (Albania)] attended the public event as well as the partners’ meeting. Location / Dates: The event took place in Szimpla Kert (Budapest, Hungary), 12-13 June 2017. 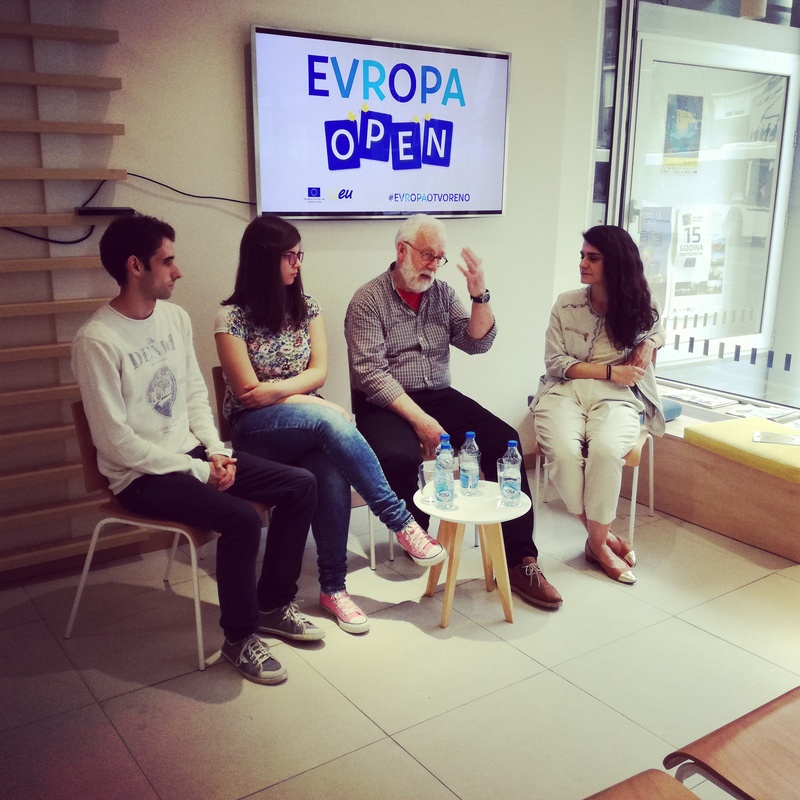 Short description: The aim of the event was to launch to launch the website Museum of Solidarity, to further promote our project, and to initiate a vivid panel debate about solidarity related to timing social challenges, such as the current migration crisis. 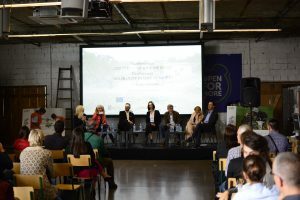 Panel members included project partners, and the representative of one of the largest non-formal movement engaged in supporting refugees, ‘Let’s Help Refugees Together’. 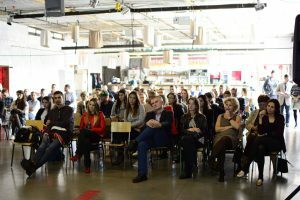 Panel members engaged other NGO activists, university students, and members of the general public in a lively discussion. 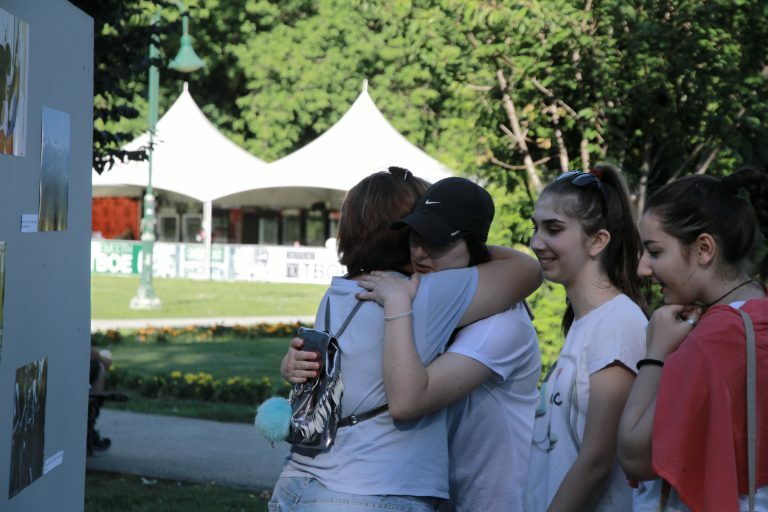 Participation: The event involved over 10.000 citizens across Serbia, including 2.000 participants from the city of Belgrade, 750 participants from the city of Zaječar, 850 participants from Kragujevac, 1.500 participants from Leskovac, 2.000 participants from Novi Pazar, 750 participants from Valjevo, 200 participants from Lajkovac, 300 participants from Kikinda, 1.500 participants from Sombor, 250 participants from Šid. 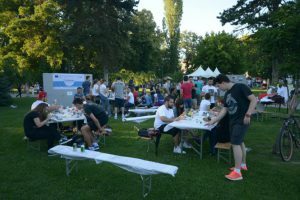 Short description: Solidarity festival in Serbia was number of events within the country aimed to inform, support and inspire solidarity among the citizens of Serbia. We have organized workshops for different target groups (kids, seniors, and youth with disabilities), volunteering actions, movie plays, Solidarity walking tour, etc. 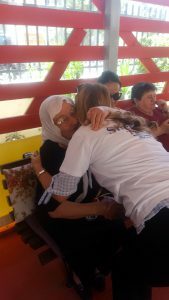 The most visited event was traveling exhibition of photos that shows examples of solidarity in crisis when people were supporting each other. 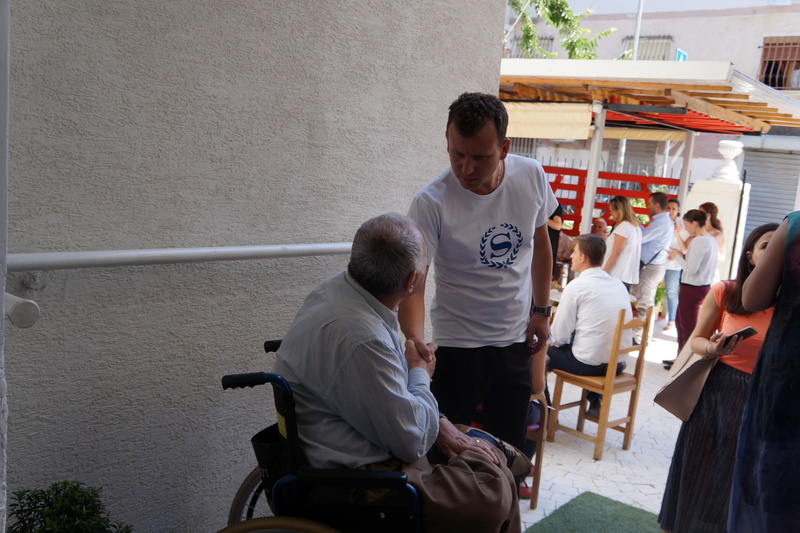 Exhibition was organized in cooperation with news agency Tanjug which provided us with professional photos made during crisis as: terrible floods in 2014 and migrant crisis in 2015. This traveling exhibition of solidarity was displayed on open spaces in 10 cities across the country. Also, we are distributing poster for kids Little School of Solidarity in kindergartens and schools; we have reached over 20 municipalities and many institutions for kids around the country. 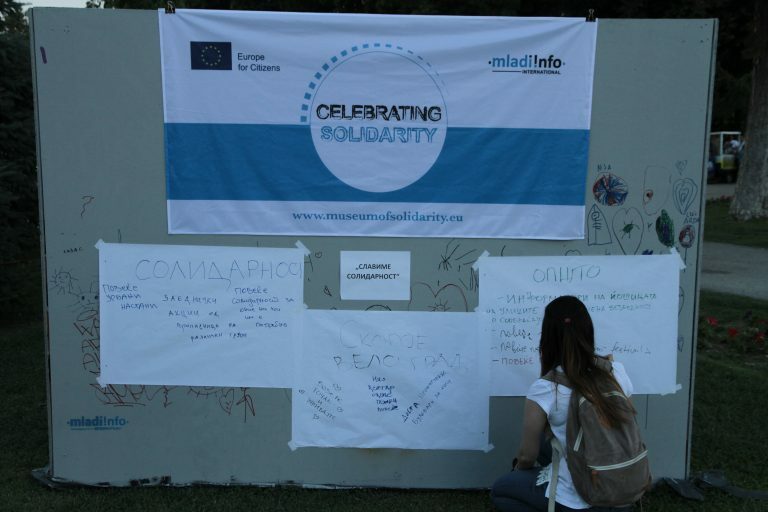 Until now, thousands of kids used our educating poster as a starting point for discussions and sharing personal examples of solidarity from their everyday life. Solidarity festival was supported by many national and regional media which enabled reach to over 100.000 citizens of Serbia. Participation: The event involved 3.000 citizens, including 1 participant from the city of Berlin (Germany), 1 participant from the city of Botevgrad, (Bulgaria), 1 participant from the city of Buhovo, (Bulgaria), 3 participants from the city of Burgas, (Bulgaria), 1 participant from the city of Cagliari, (Italy), 1 participant from the city of Edinburgh, (UK), 2 participants from the city of Elhovo, (Bulgaria), 2 participants from the city of Giarre, (Italy), 1 participants from the city of Kazanlak, (Bulgaria), 1 participant from the city of Kiev, (Ukraine), 1 participants from the city of Kremenchuk, (Ukraine), 2 participants from the city of Kyustendil, (Bulgaria), 2 participants from the city of London, (UK), 1 participant from the city of Skopje, (Macedonia), 3 participants from the city of Milan, (Italy), 2 participants from the city of Montana, (Bulgaria), 1 participant from the city of Montpellier, (France), 1 participant from the city of Paris, (France), 1 participant from the city of Pernik, (Bulgaria), 1 participant from the city of Pirdop, (Bulgaria), 1 participants from the city of Plovdiv, (Bulgaria), 1 participant from the city of Radomir, (Bulgaria), 382 participants from the city of Sofia, (Bulgaria), 1 participant from the city of Trigrad, (Bulgaria), 1 participant from the city of Tryavna, (Bulgaria), 6 participants from the city of Valencia, (Spain), 3 participants from the city of Varna, (Bulgaria), 1 participants from the city of Veliko Tarnovo, (Bulgaria), 1 participant from Afghanistan, 1 participant from Czech Republic, 1 participant from Ireland, 1 participant from Russia, 1 participant from Italy, 3 participants from UK, 1 participant from US, 1 participant from Russia, 1 participant from Brazil, 2548 participant from Bulgaria. Short description: The aim of the event was to promote solidarity as universal human value and highlight its importance in 21 century; to empower those who usually seek help (elderly, refugees, people with disabilities, etc.) 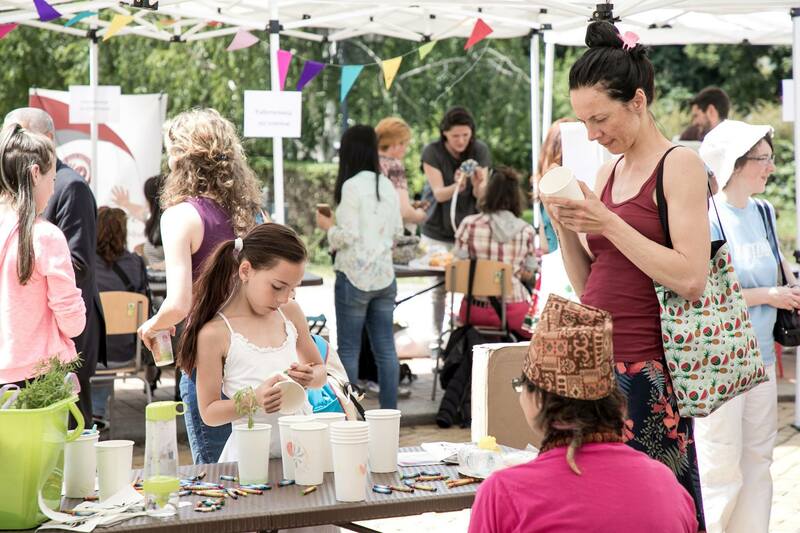 to host events/activities and co-create the festival. There were four days of Solidarity Festival in Sofia with 33 events all together. There were 11 types of events – discussions, storytelling, movie screenings, concerts, exhibitions, workshops, farmer’s markets, photo corners, donation corners, role-playing games, flash mobs. 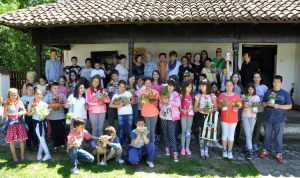 There were 24 partners attracted (Sofia Municipality, local NGOs) and 8 vulnerable groups empowered to host different types of activities – migrants, refugees, ethnic minorities, youth, children, elderly, disabled, small farmers. 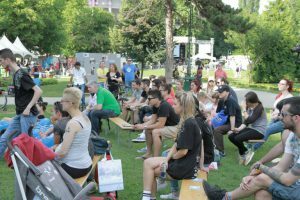 Most of the events took part in the center of Sofia and were open air while only 3 event were in halls (2 movies screenings, 1 concert). Participation: The event involved 10,000 citizens, including 9230 participants from the city of .Skopje (Macedonia), 100 from Kumanovo (Macedonia), 100 from Shtip (Macedonia), 100 from Tetovo (Macedonia), 100 from Ohrid (Macedonia), 100 from Strumica (Macedonia), 50 from Prilep (Macedonia), 50 from Nis, (Serbia), 50 from Sofia (Bulgaria), 50 from Blagoevgrad (Bulgaria), 50 from Pristina (Kosovo), 10 from Vienna (Austria), 10 from Berlin (Germany). 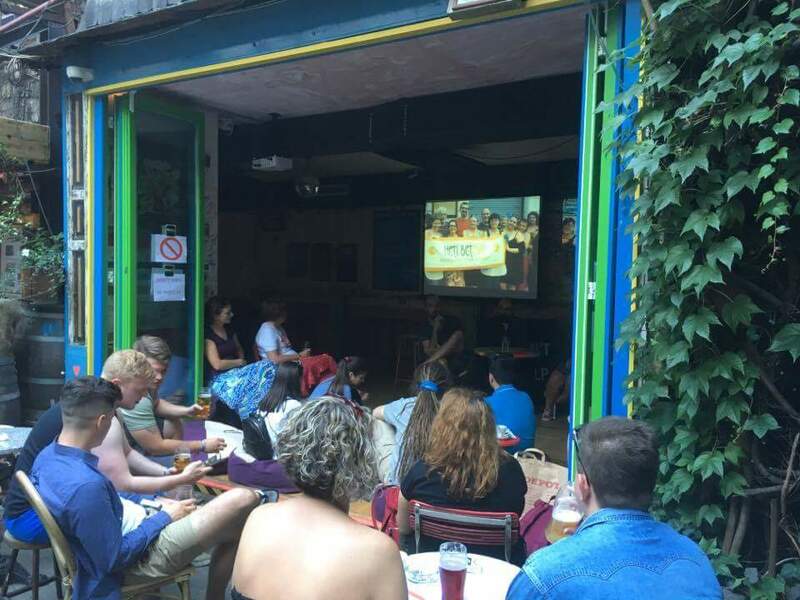 Short description: The aim of the event was to inspire people on solidarity, empower them to join/create solidarity actions, as well as to educate people on how to embrace solidarity in everyday life. 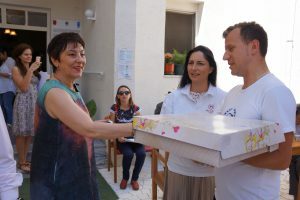 Through this event, the concepts of art, education and urban living were connected to the concept of solidarity. 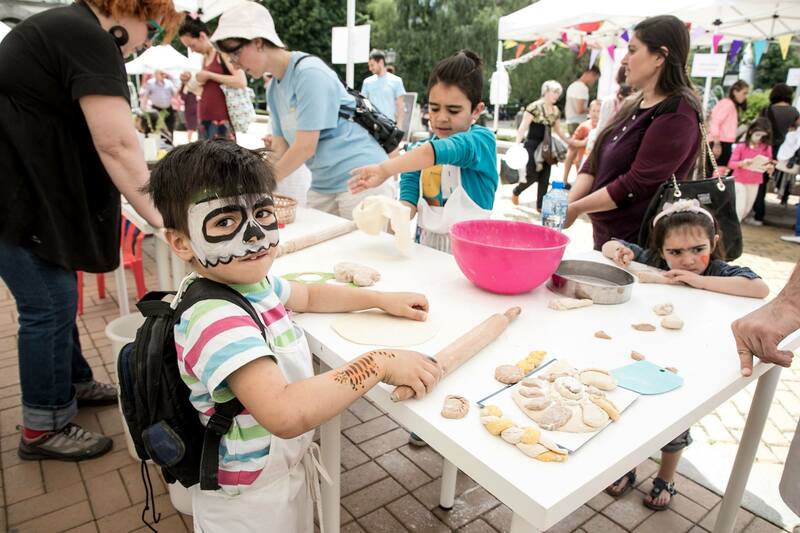 The Solidarity Festival was part of Skopje Street Festival, one of the most well-known events in the Macedonian capital that aims to preserve the metropolitan spirit in the city of solidarity. As part of the festival, walls with messages for solidarity were prepared, where the participants could leave their “marks” (the motto of the festival was “Leave an imprint”), graffiti walls where people from 7 to 77 were drawing about solidarity, photo exhibition titled “Celebrating Solidarity” – 20 best photos were selected and 3 winners announced, as well as a unique open air Street Forum titled “My city, my imprint” where urban “heroes” from Skopje together with grassroots activists were discussing what they have done for the city and what it should be done to boost solidarity among the citizens (in the capital and overall). 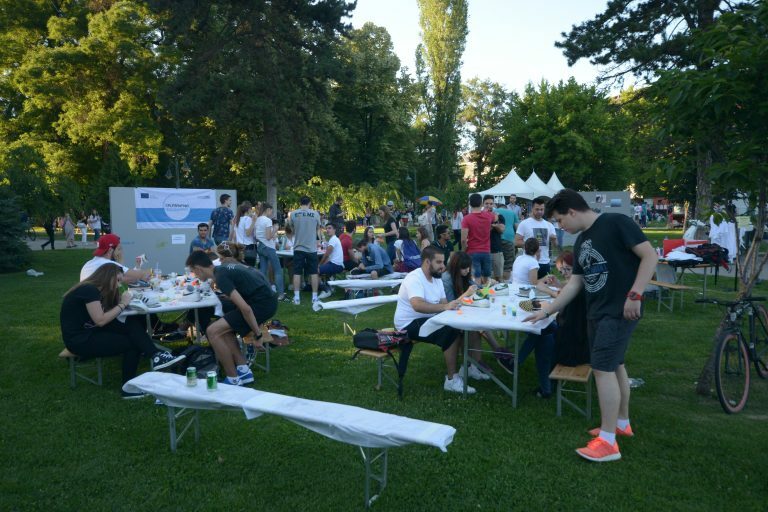 At the end, the participants wrote down ideas for better Skopje and more solidarity among everyone. 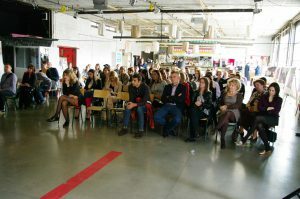 More than 40 media articles were dedicated to this event. 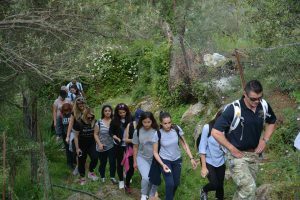 Participation: The event involved 1.864 participants on site and 52.650 people on line from urban and rural areas in Albania. Short description: Solidarity Festival was a series of activities celebrating solidarity, understanding, tolerance, and support among people. 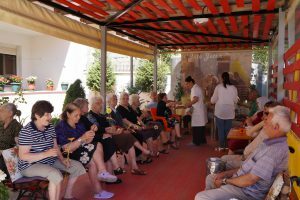 The Solidarity festival involved several activities such as: hiking, Solidarity against hunger campaign, fundraising campaign for children in need, Solidarity with Elderly people, Solidarity Talk and Exhibition on Solidarity. 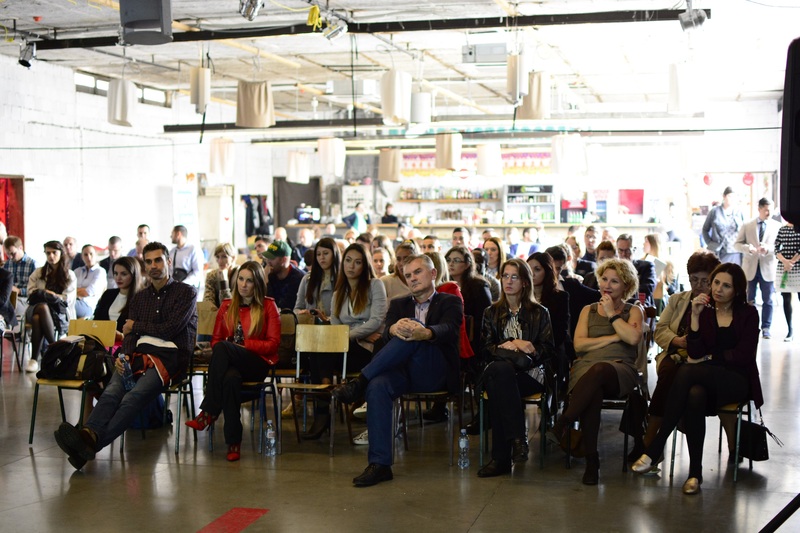 Participation: The event involved 200 citizens, including 166 participants from the city of Belgrade (Serbia), 2 participants from Sofia (Bulgaria), 2 participants from Skopje (Macedonia), 2 participants from Tirana (Albania), 1 participant from Budapest (Hungary), 2 participants from Calgary (Canada), 2 participants from Seattle (USA), 5 participants from Zrenjanin (Serbia), 5 participants from the city of Vladicin Han (Serbia), 3 participants from Vlasotince (Serbia), 2 participants from Beočin (Serbia), 2 participants from Ljubovija (Serbia), 2 participants from Inđija (Serbia), 2 participants from Novi Sad (Serbia), 1 participant from Irig (Serbia), 1 participant from Čačak (Serbia). 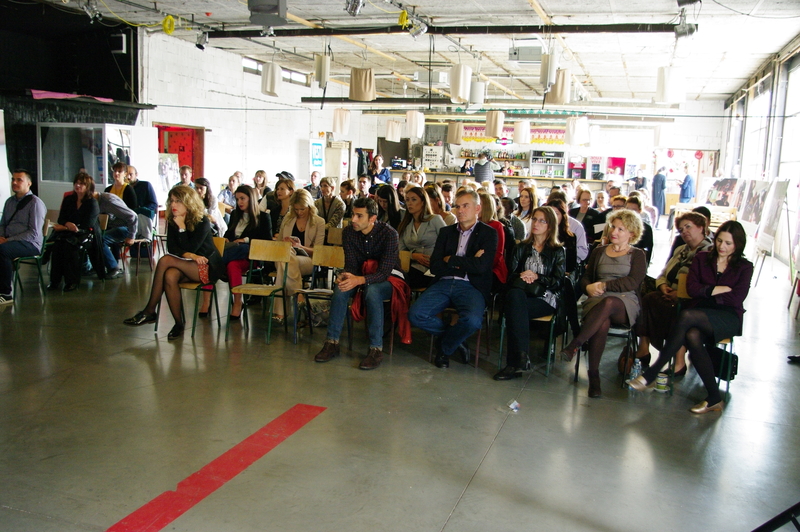 Short description: This was a final conference about project “Celebrating solidarity”. 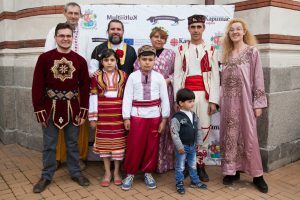 During the conference all the project partners have presented their contribution to the project, project activities, organized events and created virtual museum of solidarity. 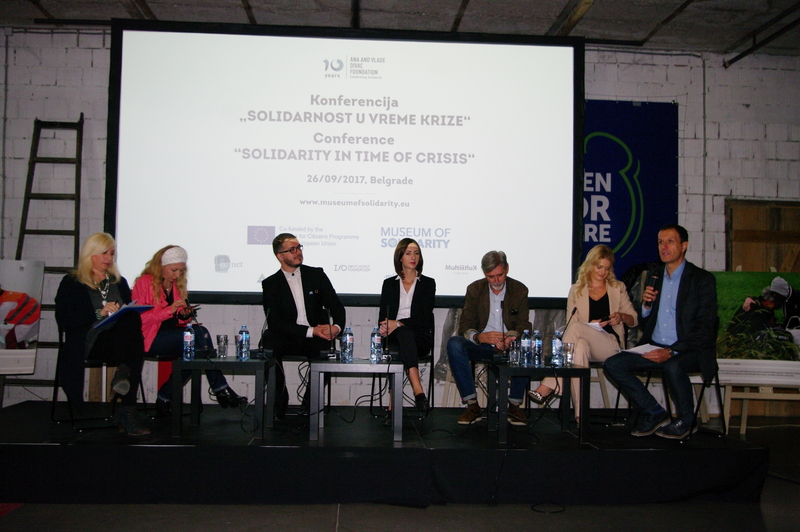 Also, we had two panels about media and solidarity and individuals as leaders of solidarity with great guests who shared their approach toward this important social value, both panel discussions attracted huge interest of the public and media. 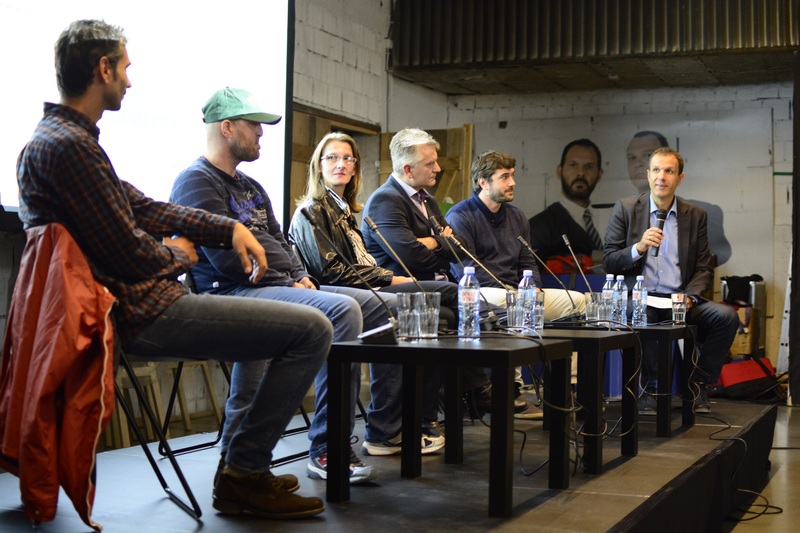 Participation of national media representatives and guests – journalists from Albania and Macedonia offered opportunity to learn about media approach toward solidarity and their importance for awareness raising and involvement of the citizens and companies into concrete actions. Also, panel with individual leaders of solidarity was very inspiring since they shared their personal story of involvement and supporting people in need without any personal interest but to be solidary.